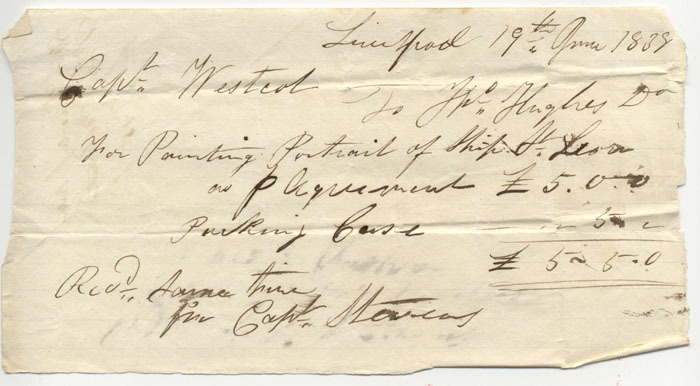 Hughes charged 5 pounds for the ship portrait and 50 pence for the packing crate. 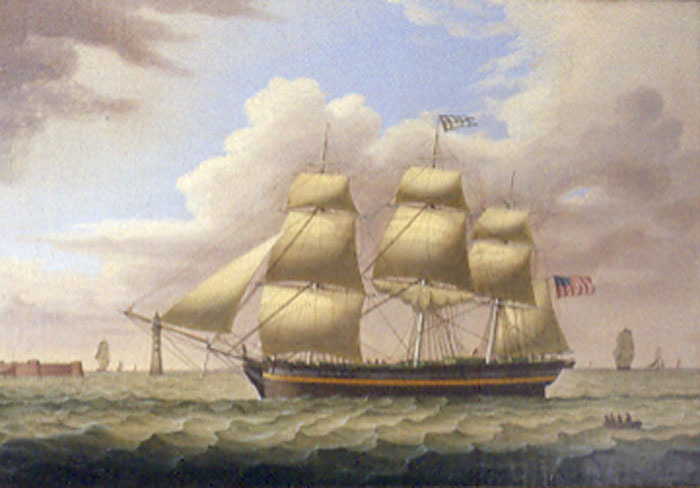 The St. Leon was built in Castine, Maine in 1835 at a cost of $33,462. She was owned by a consortium of Castine merchants with Witherle and Jarvis the principals. She made frequent voyages to Liverpool (where she was painted by Liverpool artist John Huges for 5 pounds sterling and 50 pence for the crate) and European ports. She worked in the New Orleans cotton trade, carrying fish and ice to New Orleans, then cotton to Liverpool and returning with salt for the Penobscot Bay fisheries. The salt came from British mines near Liverpool.